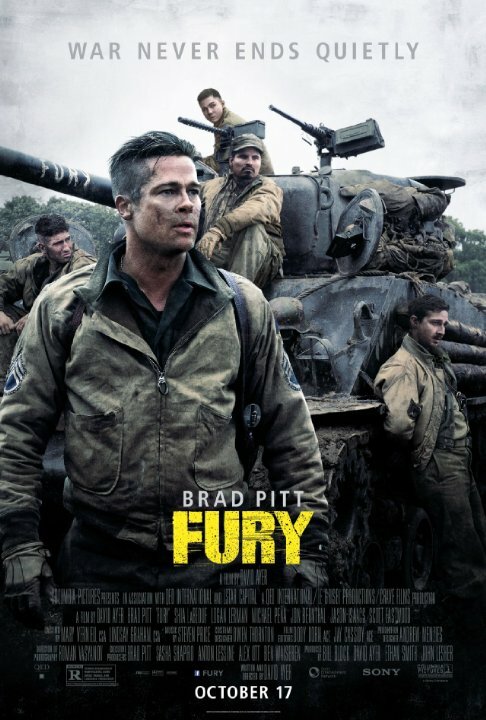 Last night we watched Fury, the WWII tank warfare movie starring Brad Pitt. I had been wanting to see the movie for awhile but hadn’t gotten around to it. We rented it on Blu Ray from Redbox, but now I’m kicking myself for not seeing it in theaters. It would’ve been an awesome movie to see on the big screen. It sounded pretty good on my sound bar, but I had to adjust the volume frequently in an effort to not disturb the neighbors (we live in a duplex). The movie has amazing sounds and great visuals throughout. 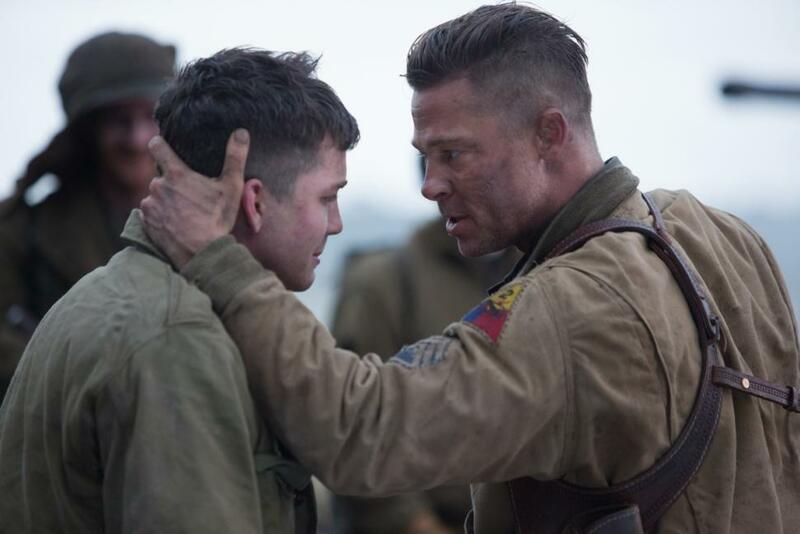 The cast (led by Brad Pitt just as his character leads his soldiers) is wonderful and they fit together quite well. Logan Lerman also has a standout performance and his character’s transformation is thrilling to watch. I loved both the action packed, bullet flying, blood splattering moments and the slower, human, emotional moments throughout the film. Everything fits together so nicely and watching the characters struggle physically and mentally is fulfilling throughout. I highly recommend checking out Fury if you haven’t already. Even if you’re not a fan of war movies I think you’ll find something to enjoy! This entry was posted in Movies and tagged Brad Pitt, Fury, Logan Lerman, Movies. Bookmark the permalink.